Katya Abedian’s debut short film Skin Diver is bitter sweet. Following two young women’s blossoming friendship, we are treated to an insight into both their inner and outer worlds, which are filled with love, wonder, daring dreams and loss. 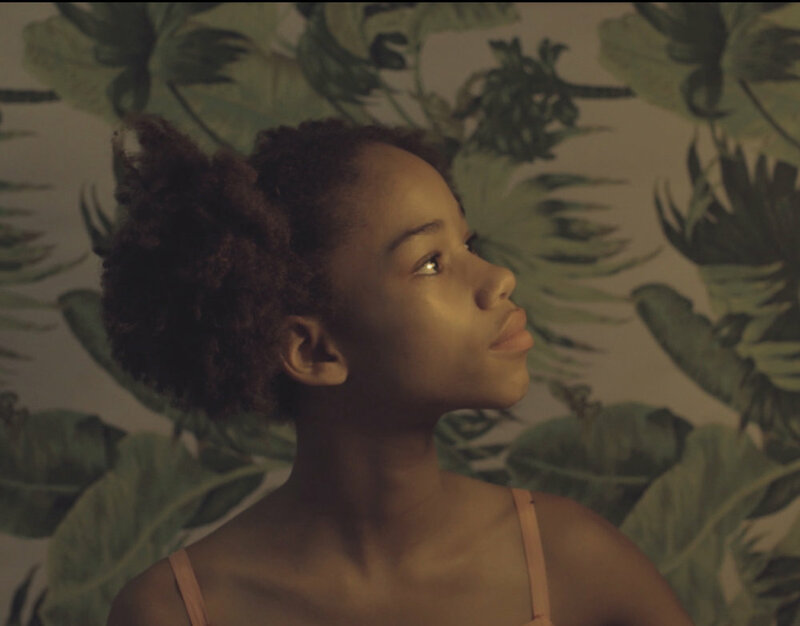 Starring Tony Gum as Manzi and Demi Van Der Westhuizen as Saffron, our young heroines create their own reality together based on self-acceptance, true emotions and limitless creativity. “Skin Diver was inspired by the idea of creating the things you wish existed. Personally, I wanted to see more diverse characters in stories and to prove to young female filmmakers that they have as much a right to have a voice as their male counterparts do. We do not need to be praised for being female filmmakers, we are just artists who make films and also happen to be females. But we do have a responsibility to start pushing for more female perspectives and to acknowledge that we ourselves have been brought up digesting and believing stories told from a dominantly male perspective. This is the gap in pop culture that we need to start closing and filling up with meaningful, tasteful, necessary filmmaking. “Throughout the last few years of high school I was collecting pieces of stories, cherry-picking from the ether. Nothing had enough to translate into a narrative for film, at least not yet, but Skin Diver flowed naturally. I had a lot of inspirations building up, which mixed with my desire to actually get down to making my first short film. I went through the motions as intentionally as possible. I wanted to write the best screenplay I could, work with people who are excellent in their own capacities and bring together a team who understood that I was bringing this vision to life for the right reasons. And to my surprise, that is exactly what happened. Everyone I hoped to work with jumped on board. It was unfathomable and the most humbling thing. “With Demi, I drove to her house, sat on her floor and told her I had her in mind for this role and wouldn’t be satisfied if anyone else stepped into it. She gave me permission to paint the picture I had in my imagination in the air and I remember feeling like there was this peacefulness and certainty about it. With Tony, we met up in a little bookstore. She asked, I answered, she was drawn to what the story stood to represent, much like Demi. “It was the same with the other key members of the team. I experienced for the first time how an idea starts off with just you thinking maybe you’re the only person who feels this way, and then it becomes that way for someone else, and eventually it’s a collective endeavour. There is nothing more affirming as a director than when the people you’re working with believe in the work as much as you do, and they start becoming meaningfully critical and concerned about taking it to the best place it can be raised to. That for me is the essence of what it means to be the vision-holder of a team, to let others form their own connection to what you’re collectively working on. “As far as the story goes, I don’t want to prescribe what or how audiences should feel about it. What I can say is that I made it for the tender hearted, for kids or anyone in the world that has felt a little on the outside. I want to communicate the idea that we are ultimately creating our own realities to exist in and we shouldn’t be ashamed of them. We should pay attention to what we are building and stay woke, but it’s okay if others don’t always understand why you do what you do, or don’t do. You exist to be true to your nobility and your authentic self, and to help others do the same while you’re figuring it out too. At least that is my understanding, which is strongly inspired by the Bahá'í faith and it’s emphasis on service to humanity and the need for unity in diversity.